The most recent KLS is available through the KLS Foundation web site - there was a conference held in the US in 2015. Videos of the key speakers at the conference are available via this web site - along with key notes... there are 15 videos in all... the information presented by Arnulf is particularily interesting, after this conference the KLS foundation provide a grant for some new research into the condition. Details of this can be found here: KLS Reaseach January 2016. Methylephenidate (to try and make him more alert) - article about it here. Modafinin - experimentally to see if we can breat Jake from the episodic cycle... although we can't get it on repeat perscription... so just have one packet to experiment with. There are other drugs and treatment available to try - as we understand it, there are not yet any proved treatment that guarantees success as so little information is recorded. If you would like to know how we have got on with these, then please get in touch, but so far we have had no real success. What our son needs at present is for someone to be there for him 24/7 whilst in episode to ensure he is safe and his nutritional needs are met - they have to be available at very short notice and have to put their lives on hold until the episode passes. For the majority of our first year we have treated the condition with rest, understanding, supervision and gut instinct - choosing which battles are worth fighting and which aren't... the whole family lives on "standby". The most interesting and up to date information I have heard was at the International Pediatric Sleep Association (IPSA 2012) Conference in Manchester 2012, when I attended a KLS parent session with my family and heard Prof Arnulf from France and Prof Mignot from Stanford (USA) talk about the condition and the latest findings. I wrote an account of the day which you can find here: KLS Conference notes. 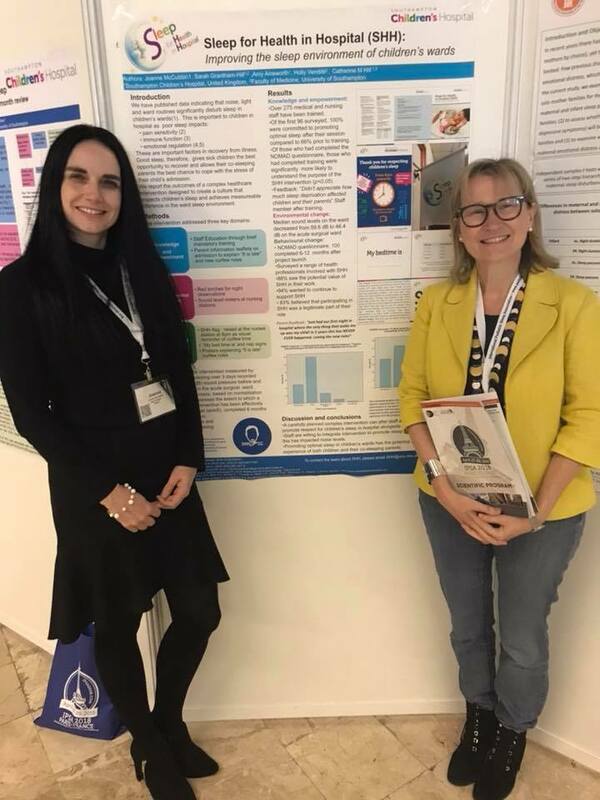 In 2018, the Southampton Sleep Clinic team shared this poster during a presentation at the International Pediatric Sleep Association (IPSA conference) 2018 in Paris. Dr Cathy Hill responded to our request to circulate the poster. "Please see attached our poster as requested. We now have permission from the involved families to share this. We are endeavouring to test all children and young people and once we have a large enough sample will publish this. At present we are principally limited by resources! We have so little neuropsychology time in the service trying to coordinate this with KLS episodes is quite a challenge The data has been really useful for individual young people and their schools and if we can gather more we will hopefully be able to contribute to the literature on this puzzling condition. Honorary Consultant in Paediatric Sleep Medicine Certified European Somnologist Associate Professor of Child Health Children's Sleep Disorder Service "
Globally there is a research project happening at Stanford University in America where they hope to one day find a cause for KLS and one day a cure for KLS - details of which can be found here - we have sent blood off for this from our son, his parents and one of our son's peers. (Spring 2012), but have not heard any significant news. New information on Lithuim (October 2015) - Lithuim and KLS - saying that it does reduce the duration of episodes. 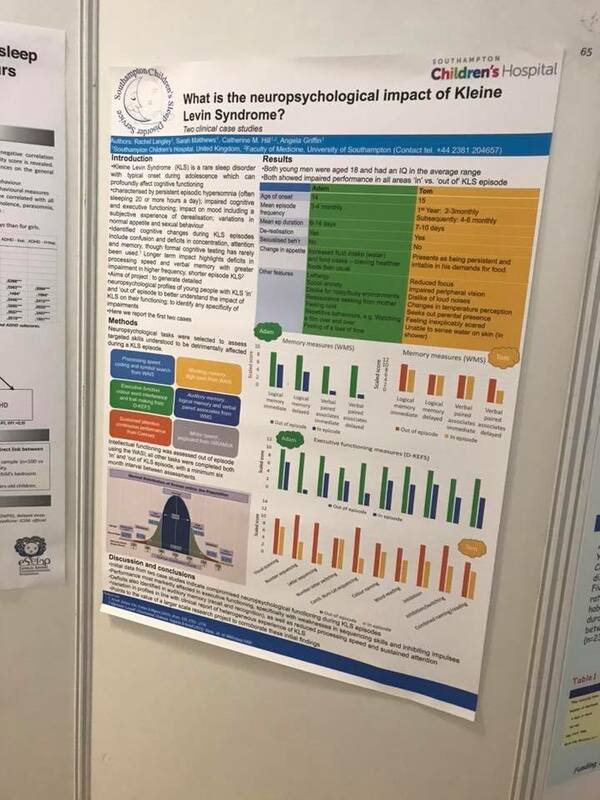 Diagnosis, disease course, and management of patients with Kleine-Levin syndrome published in October 2012 by Prof Isabelle Arnulf, Thomas J Rico, Prof Emmanuel Mignot - copyrighted and not available yet to share - but you can purchase. There is some great information in here on keeping the patient at home. 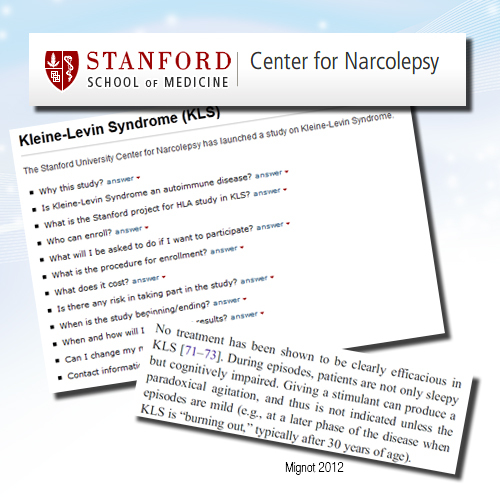 Kleine Levin Syndrome - systemic review of 186 cases. Published 1995. The International Classification of Sleep Disorders - I am taking a look at this to see what I have missed. Further articles can be found in this on line drop box - which is shared between a number of KLS families around the world. Some articles may be more relevant than others, but all of them relate to KLS in some way - and have helped some patients in one way or another. I highly recommend that you have a look and browse through when you have a spare hour or so.